Seattle Cooks is an exciting collection of 80 signature dishes from 40 of the city's best restaurants. 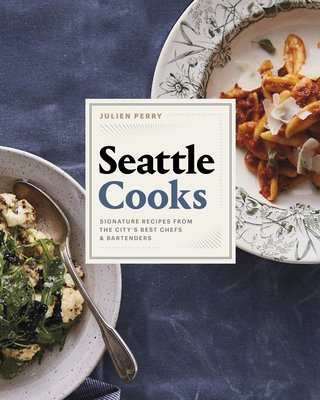 Featuring crowd-pleasing small plates, vibrant salads, comforting mains, delectable desserts, and much more, this expansive cookbook highlights a vibrant culinary scene that makes Seattle one of the best food cities in the country. A never-before-published recipe for Dahlia' Lounge's iconic Dungeness crab cakes? Check. Tavol ta's hamachi crudo? Check. Revel's kalua pork belly? Check. We've even included Jerry Traunfeld's famous eggplant fries, RockCreek's octopus salad, and E. Smith Mercantile's thirst-quenching smoky martini. For those who love to explore the world through food, Seattle Cooks presents inspired recipes designed with home cooks in mind--regardless of skill level. It's never been easier to get your hands on great food.